2015, Trackpad Publishing, 288 pages, full-colour photos. 800+ photos and diagrams. 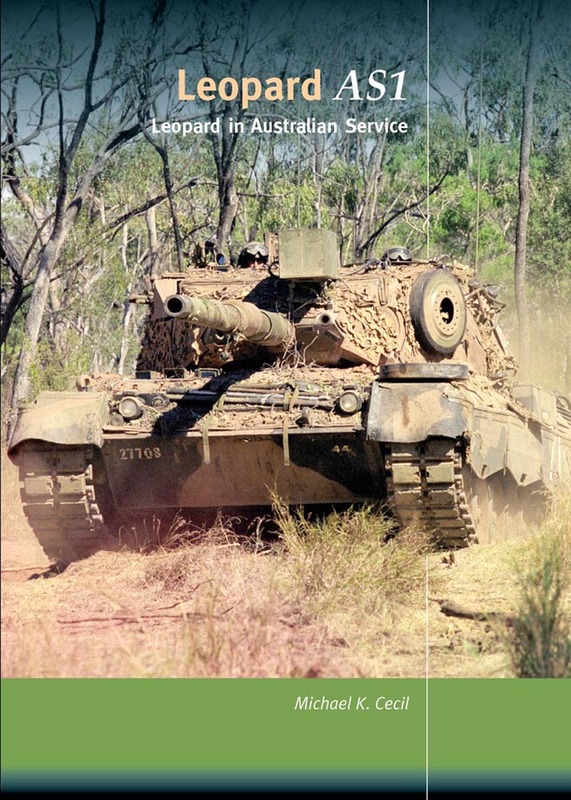 This book covers all aspects of the Australian Leopard family with a thorough look at the initial trials, the tank's introduction into service, technical problems, training exercises, maintenance and modifications. Each of the different variants and their capabilities are examined, as well as camouflage and markings, ammunition, crew dress, training equipment and the Leopard's tactical and strategic mobility. The first modern tank acquired by the Australian Army in the post-Second World War era was the Centurion, which began arriving in late 1951. The Centurion was a very formidable vehicle and was to remain in service for twenty-six years. Many were deployed operationally in South Vietnam from 1968 to 1971, where their firepower and armour undoubtedly helped in saving many Australian lives. By the early 1970s, however, the Centurions were becoming increasingly difficult to maintain in battle-worthy condition. A new, more modern tank would need to be ready for service with the RAAC before the end of the 1970s. In 1974, following an exhaustive series of competitive trials between the M60A1 and Leopard 1A1, the Australian government confirmed the purchase of the Leopard AS1 - in essence, a Leopard 1A3 with a unique suite of modifications to suit Australian requirements. A total of 103 vehicles were acquired, including MBTs, Bridgelayers and Armoured Recovery Vehicles, with the first arriving in Australia in late 1976. In March 2004, the decision was made to replace the Leopard with reconditioned US M1A1 Abrams. With the arrival of the Abrams in 2007, the Australian Leopards were withdrawn from service. Although never called upon to fire their guns in anger, they formed the armoured fist of the RAAC for thirty never-to-be-forgotten years. "Leopard AS1 brings back so many memories, most of them good. Mike's comprehensive treatment is more than just a summary of Leopard in Australian service. 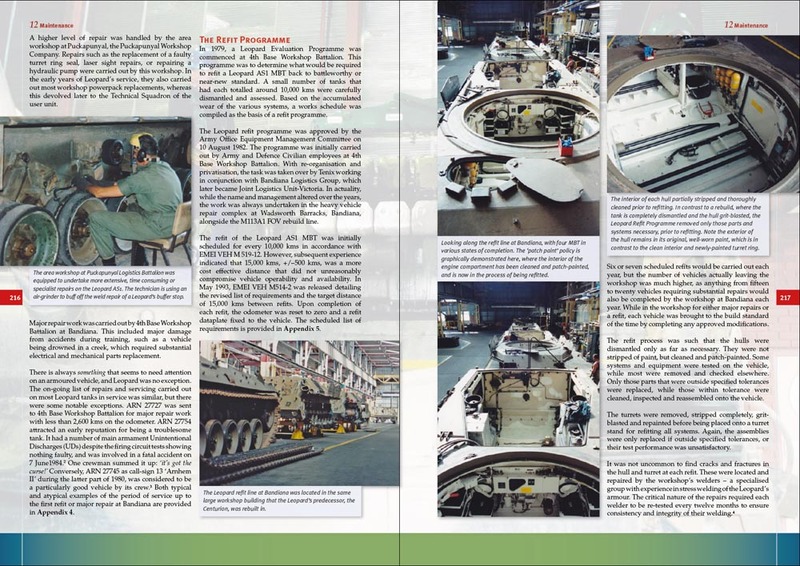 It's a detailed history of the life and times of Leopard; of its crews, maintainers, developers and transporters; of the tactics and techniques of its operation, down to the technical data of equipment, ammunition and crew-gear. I found Leopard AS1 a great read and I commend it to you for reading and enjoyment; and eventually, a treasured place on your reference bookshelf." "To say that this book is extensive would be a serious understatement. 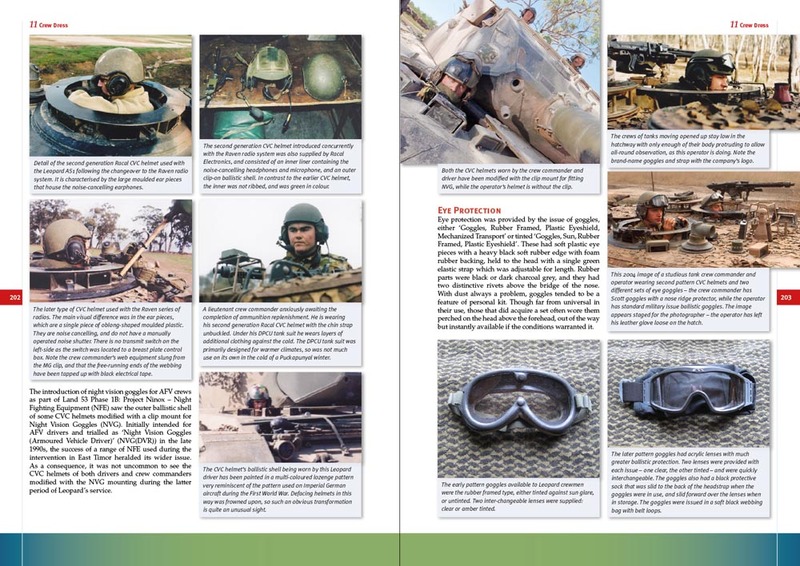 This is one of the MOST comprehensive books on any military vehicle that this reviewer has ever seen. From inception to retirement this covers the ENTIRE history of the Leo 1 in Australian Service and does it with style. I honestly do not know what more you could have crammed into this. From tons of photos to blue prints and line drawings (in scale no less!) this book really has it all. This is a must for any fan of the modern Leopard family of tanks. From all of the photos of the vehicle to the blue prints of the track-width mine plough and other mine clearing devices, this is a great resource for modellers as well as just armour enthusiasts. Even you “modern armour only” guys will want to pick up this book and have it for light reading in your down time. It really is that good." 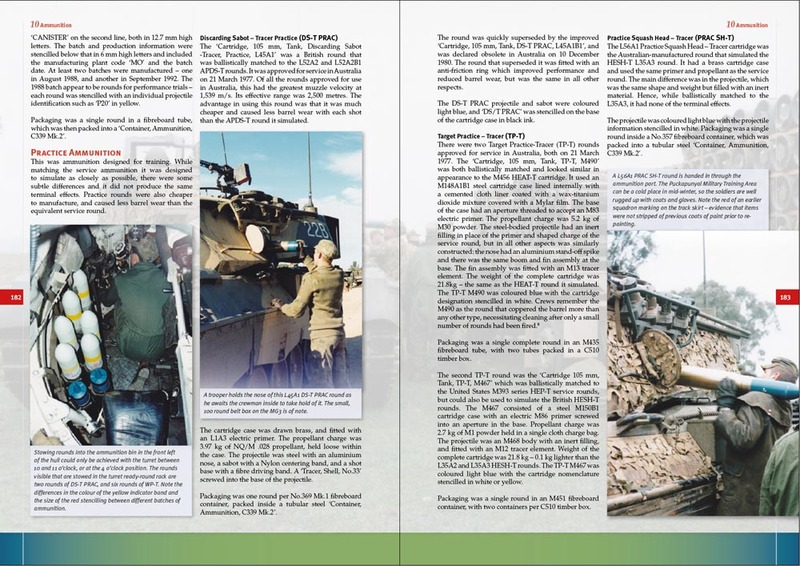 "With the debut of Leopard AS1: Leopard in Australian Service from Trackpad Publishing, it appears to me, without a doubt, that this book is quintessentially the Australian Leopard AS1 bible. If you are looking for information, be it technical or operational, this book might be all you will ever need. Michael K. Cecil superbly compiles an extraordinary amount of fascinating information about the Leopard tank as it was used by the Australian Army and stuffed it all into this one book! 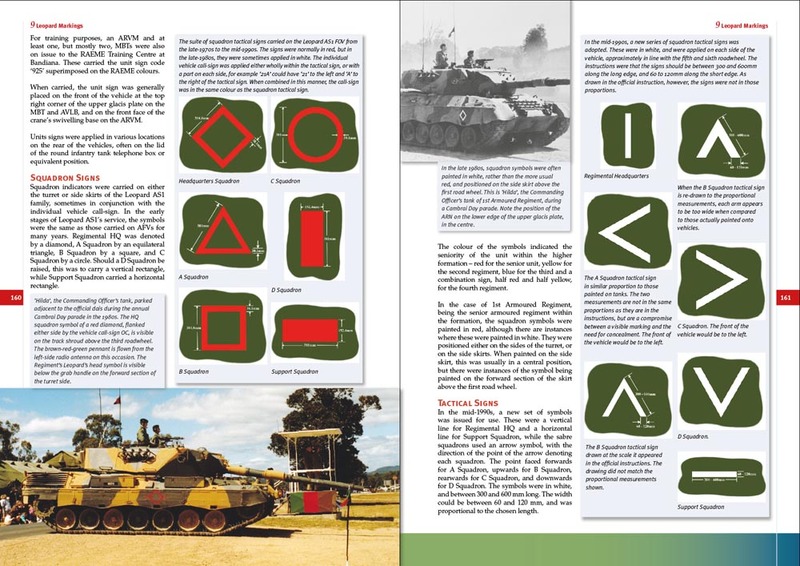 An extremely comprehensive publication looking at every facet of this tank from its conception and birth, induction, overall technical and operation life, the soldiers who man the tank, training, markings and much, much more. It is difficult to describe in words the amazing amount of information contained in this book. This is a must have for all Leopard fans out there and more specifically anyone interested in the Leopard AS1." Originally published on MSC Review Connect. 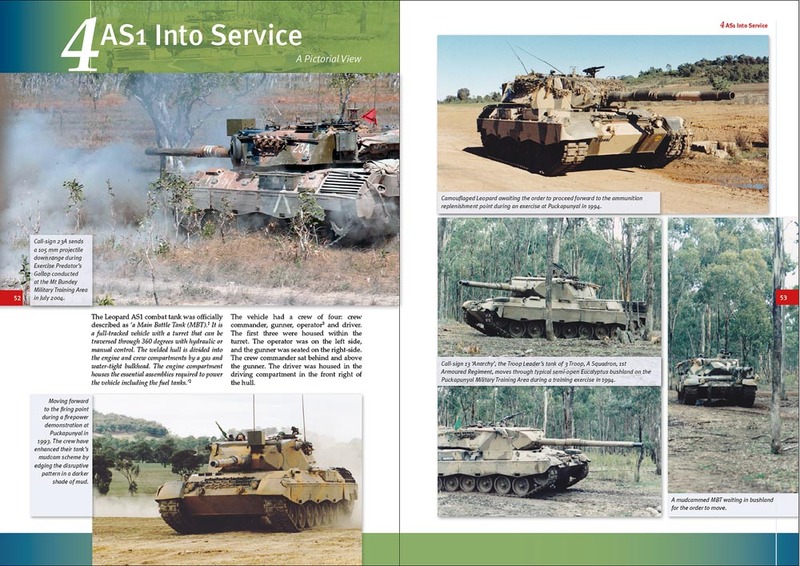 Leopard AS1 is available from the Trackpad Publishing website.